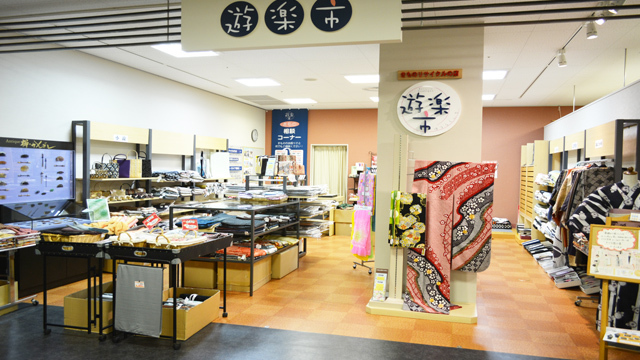 Yurakuichi deals with a wide range of kimonos, from recycled to ready-to-wear. Ready-to-wear kimonos are available at reasonable prices because they are produced in-house at low cost. 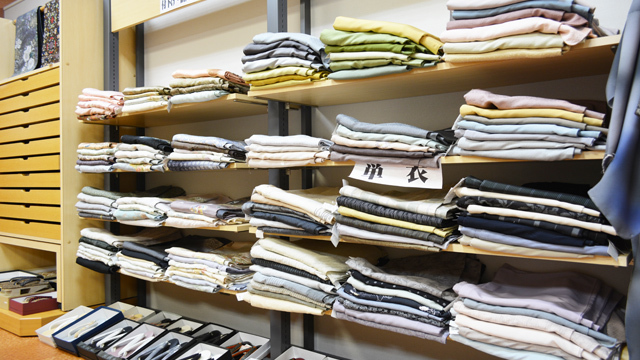 Since they are all pre-made, there may be many good buys if you can find ones that fit you. Right now, water-washable kimonos and kimono slips are selling well. You can wash them by yourself, though they are made of pure silk. 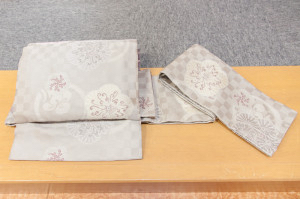 For kimono slips, comfortable cleanliness is always assured since they can be washed each time after you sweat, which also leads to cost savings. 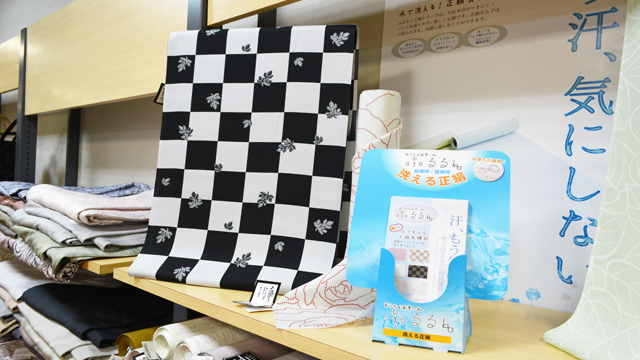 Houmongi (semi-ceremonial) kimonos are available at surprisingly low prices. 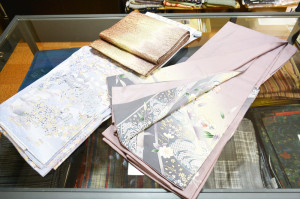 These kimonos are ideal for a wide range of social occasions, from wedding parties to class reunions, matchmaking events, tea ceremonies, visits to friends' houses, and even for imperial garden parties. 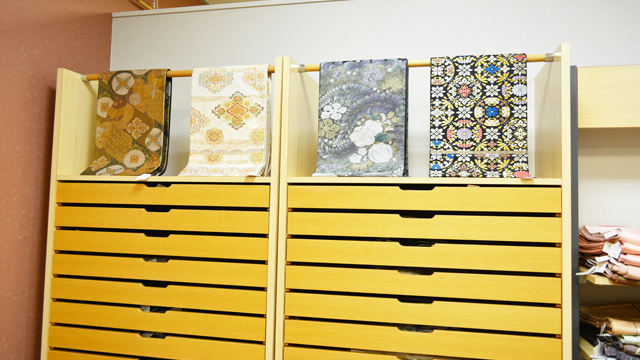 Kimonos with classical designs are popular since they are not influenced by current fashion trends. 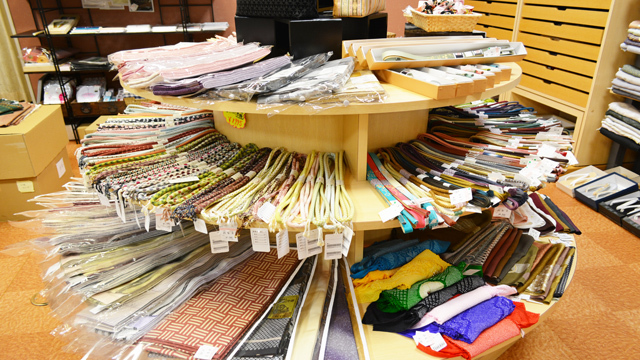 We will be happy to tailor a belt (obi) that you currently have. 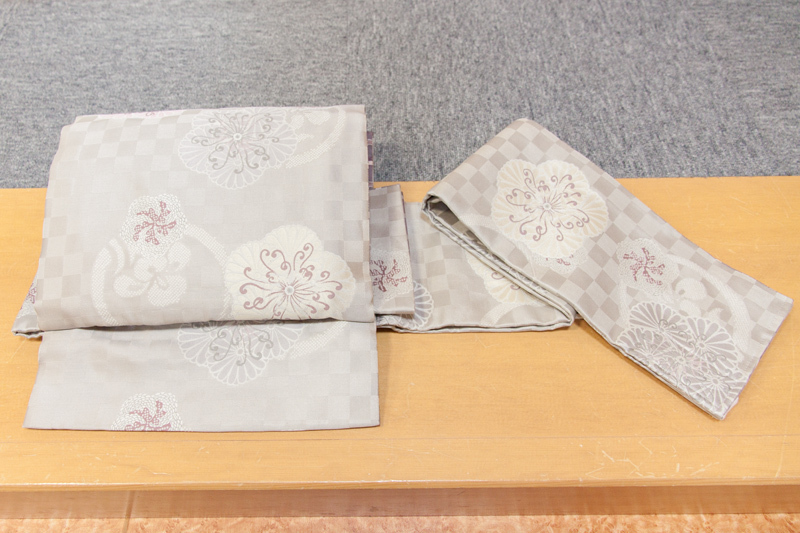 After a few times practicing, you will be able to tie the belt beautifully in about two minutes. Because we do not cut belts with scissors for tailoring, you can entrust your precious or expensive belt to us without any worries.